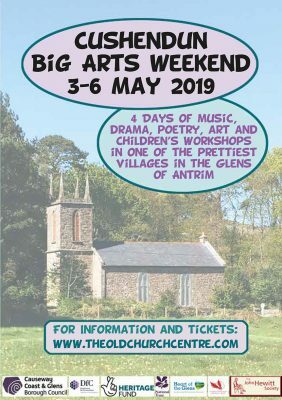 The full line-up for this year’s Cushendun Big Arts Weekend, from 3 to 6 May, has been revealed. Acclaimed political historian and broadcaster Eamon Phoenix will be discussing the theme of the War of Independence in the Glens on Sunday 5 May. Theatre plays a huge part in the Big Arts Weekend and this year is no exception. The Armagh Rhymers, one of Ireland’s most celebrated folk theatre ensembles, will perform on May Day (Monday 6 May), while community arts group Craic Theatre will delight audiences with their performance of Extra Time, a play set in a rural pub during the local football team’s semi-final victory. The Glens’ own Lurig Drama Group bring the festival to a close on Monday evening. 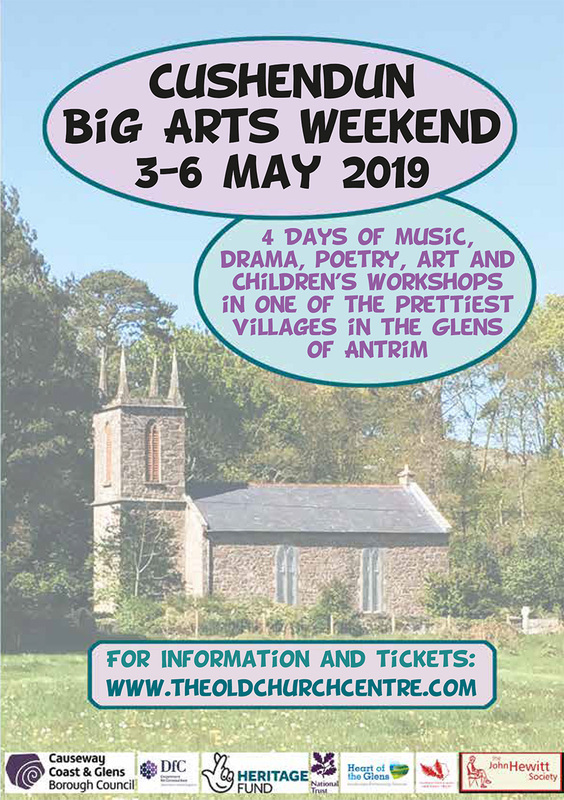 Firm favourites including Share-a-Poem, Play in a Day and the Family Funday Sunday will all be returning to this year’s Big Arts Weekend. Also back by popular demand are The Art Exhibition, the pop-up Tea shop with scrumptious buns and cakes, and Naturally North Coast and Glens Market. This year’s John Hewitt talk ’50 years of the Corncrake’ is by Cushendun resident Dr James Morrow. Artists should book early for the Painting Masterclass led by painter and experienced teacher Michael Sayers. There are some new additions to the line-up this year, including Doggies Got Talent and Dance Workshops for both children and adults. Proceeds from ticket sales will go towards the restoration of the Old Church centre in Cushendun, a dedicated heritage, community and arts space.